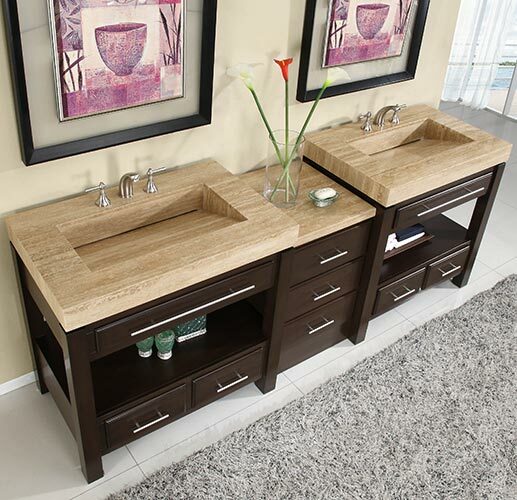 The Aguila Double Bath Vanity is a handsome centerpiece for any master bathroom. Its style is modern but not too minimalistic. 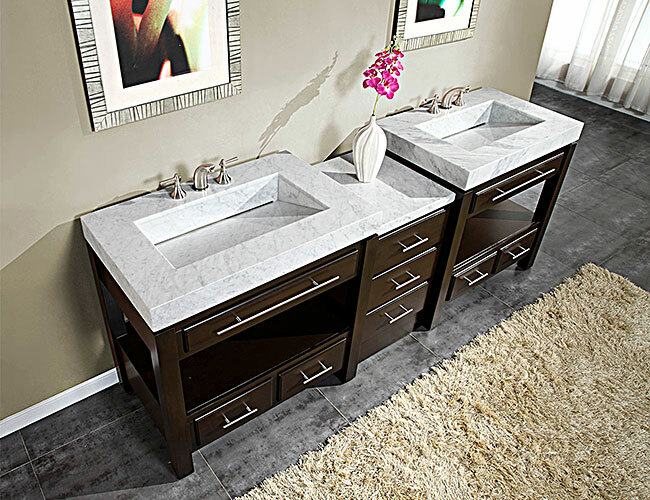 The Roman Vein-Cut Travertine counter top features an integrated sink and is pre-drilled for simple faucet installation. 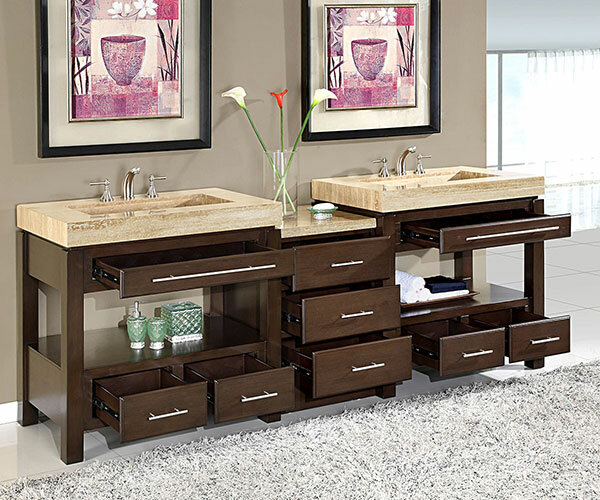 If you desire room for storage and organization, this double vanity has nine drawers with soft-close sliders. 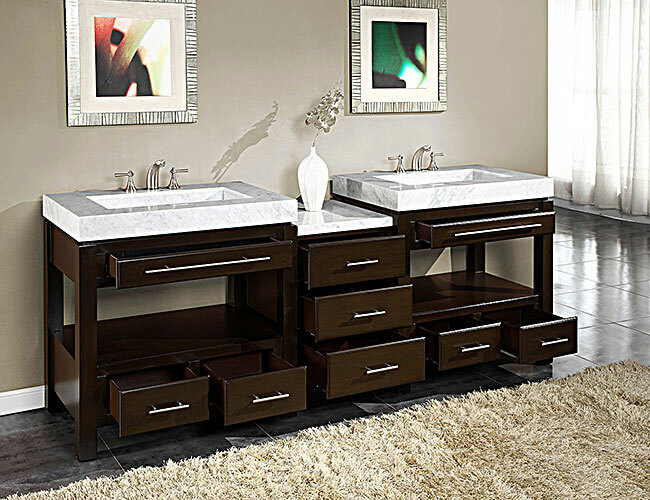 Each sink cabinet also provides an open shelf above the drawers. Each section is modular, making installation extremely easy. Its style makes it easy to coordinate with different decors, and the construction is very reliable.